Welcome to Florida! Whether you’re visiting for a family vacation, business trip, or any reason in between, don’t let transportation difficulties dampen your stay in the Sunshine State. 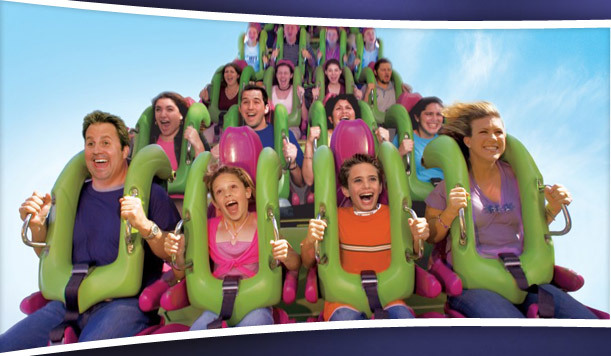 Transportation to and from central Florida attractions doesn’t have to be a headache. With American Luxury Transportation, you can visit all of the popular attractions whenever you want! Whether you’re arriving from the Sanford International Airport or the Orlando International Airport, you’ll need transportation to and from lodging as well as to central Florida attractions. Instead of paying expensive airport transfers fees, American Luxury Transportation offers better services at a more reasonable price. Our professional chauffeurs and drivers are available 24/7 to ensure that you get wherever you need to be quickly, safely, and reliably. Planning a trip has never been easier! Attractions in central Florida such as Walt Disney World and the Bok Tower Gardens are extraordinary tourist spots that require extensive walking and traveling. After a full day’s itinerary, the last thing you want to worry about is transportation to and from central Florida attractions. With American Luxury Transportation’s town car service, it’s never been easier to enjoy your itinerary without the stress of travel. The instant you arrive in central Florida, our town car service can transport you wherever you need to go. Whether you’re headed to the hotel or to experience the aquatic adventures at Discovery Cove, our chauffeurs and drivers are ready for you. Our airport transfer services ensure you’re never stressed during your visit to central Florida and that you can enjoy everything these attractions have to offer. If you’re planning a visit, it’s critical to consider transportation to and from central Florida attractions. Only American Luxury Transportation offers quality 24/7 service to your every destination. Book today and travel carefree tomorrow! Call us at 407-490-4444. If you have any inquiries about Orlando Transportation or you are unsure about anything, please contact us. For an immediate response call (407) 490-4444. Name: Email: Phone: HOW CAN WE HELP YOU? We accept all major credit cards on our secure payment site.